Beneath the loggias of the relics Bernini created huge niches which hold four colossal statues, almost 10 m. high, which are associated with the relics. In the first pier on the right is the statue of St. Longinus, the soldier who pierced the side of Jesus, from which "blood and water" flowed. 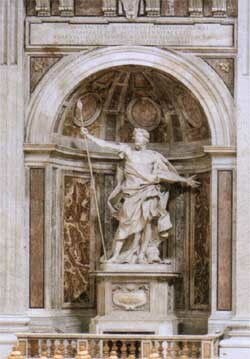 It was carved by Bernini in 1643 from four blocks of marble. 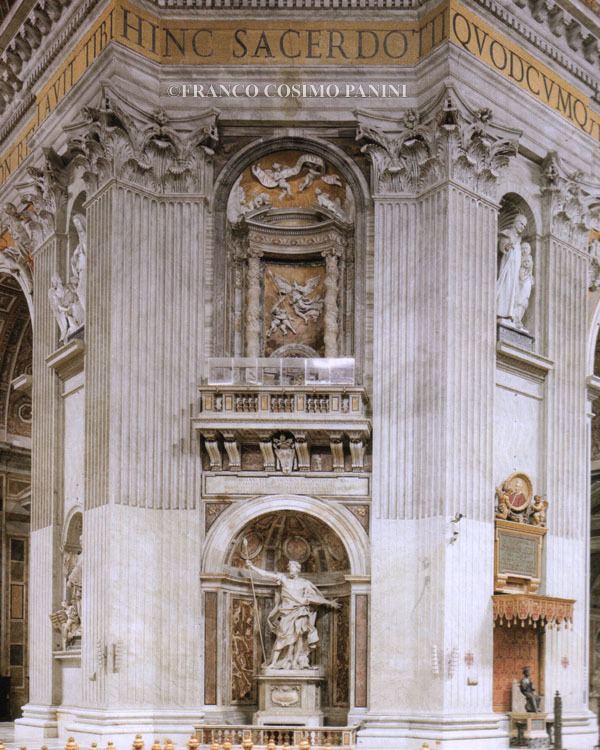 The dome above the papal altar is supported by four gigantic piers, 45 m. high with a perimeter of 71 m., started by Bramante and completed by Michelangelo. In 1624 Urban VIII commissioned Bernini to create four loggias in these piers. They are called the "Loggias of the Relics". Each is protected by a balustrade and adorned with two columns decorated with vine leaves and splendid bas-reliefs referring to the four "major relics". 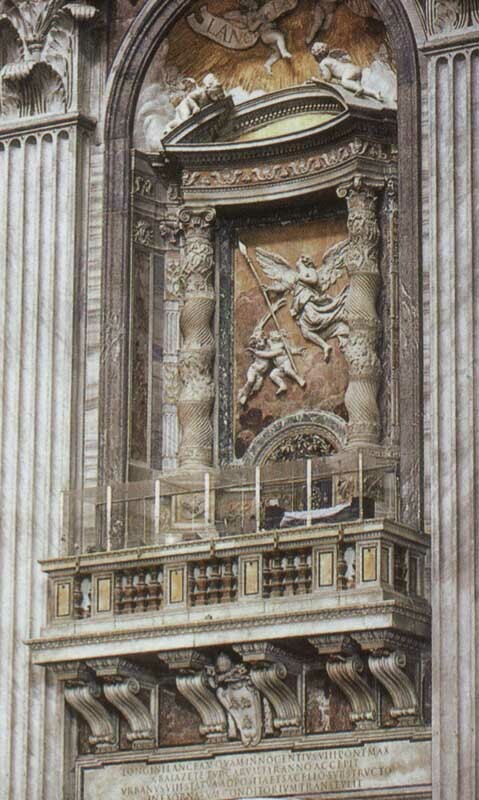 In fact, Urban VIII wanted him to carve out four niches in these loggias, where he then had placed the precious relics, formally kept but not properly preserved in the basilica. The relics are now no longer in their original site, but the three relics of Our Lord's Passion are kept in the chapel above the statue of St. Veronica, and displayed to the people on the fifth Sunday in Lent. The relic of St. Andrew's head however, was sent by Paul VI as a gift to the Church of St. Andrew in Patras and a sign of friendship with the Greek Orthodox Church.